UNM Physics and Astronomy Professor and Interim Associate Vice President for Research, Dr. Trish Henning, led a behind-the-scenes tour of the National Radio Astronomy Observatory Very Large Array in Socorro, New Mexico in collaboration with the STEM Collaborative Center. Dr. Henning helped undergrads understand how she uses the VLA to map galaxies that are hidden by our own Milky Way galaxy. Journal for researchers who develop and implement programs connecting formal and informal educators with STEM professionals. National competition program designed to challenge and engage students in grades 9-12 in science, technology, engineering, and/or mathematics (STEM). Opportunities for hands-on workshops, career panel discussions, research lab visits and/or networking are planned as part of the event. Science fair project competition for 4-12 graders. Opportunities are available for volunteers. Conference for girls in the 5th-9th grade that will include hands-on activities in science, technology, engineering, and math (STEM). The National Science Foundation (NSF) describes Broader Impacts as being the potential of a research project to benefit society and contribute to the achievement of specific, desired societal outcomes. Per the NSF, broader impacts may be accomplished through the research itself, through activities directly related to specific research projects, or through activities supported by, yet complementary to the project. Even though the NSF is the only sponsor that specifically names Broader Impacts as an evaluation measure, this desire to improve the world around us through research and other externally funded endeavors is common to most funding opportunities. As a result, the OVPR and FRDO would like to offer their assistance to faculty looking to develop broader impacts strategies to include in their proposals. Use the button below to request support. Each year, the National Science Foundation (NSF) receives about 50,000 proposals for funding. Because there are many more worthy proposals than NSF is able to fund, the foundation distinguishes among them through a merit review process that incorporates two criteria: intellectual merit and broader impacts. 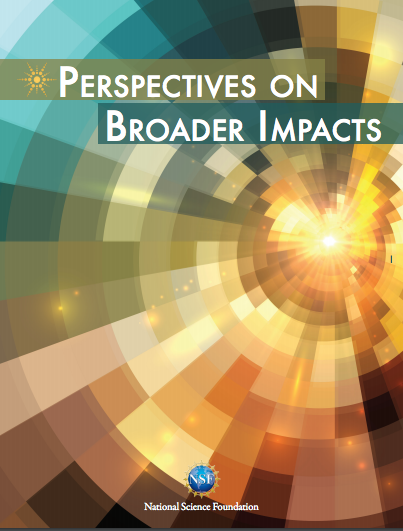 Read about more broader impacts examples from the NSF here. STEM University is a collection of free outside-of-class activities related to science, technology, engineering and mathematics disciplines (STEM) put on by the STEM Collaboration Center. These events connect UNM students with STEM research, scientists, technology and leadership. Faculty can post STEM events by following this link. Click here to access the current list of STEM University events. Below are links to contact information for local museums. Organizations on campus devoted to the recruitment, retention, and education of students from minority and underrepresented groups. A number of schools and colleges at UNM offer outreach opportunities. These are excellent places to begin your own outreach effort, either as an example to follow or as a collaborative partner. Check out the links to their outreach pages below. Mission: Graduate is a partnership that brings together educators, employers, educational support providers, government leaders, and citizens to design collaborative projects and align organizational practice and policy toward achieving common goals. They seek partners with interest, experience, & expertise needed to successfully realize their seven core outcomes. Effective open source software and data sharing can be incorporated into broader impacts. The Research Data Services, directed by Karl Benedict, provides a variety of services in support of effective research data planning, management, preservation, discovery and use. In addition, the RDS team also provides support for several key research data infrastructure capabilities that are maintained by the Library for use by UNM's research community. One mission is to cultivate a well-qualified and diverse Science, Technology, Engineering and Mathematics (STEM) workforce and develop a strong culture of innovation and entrepreneurship. Through collaborations with organizations ranging from afterschool programs to colleges and universities, from museums to business startup accelerators, NM EPSCoR Education and Outreach programs serve a wide range of audiences across the state. 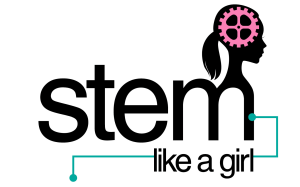 These New Mexico groups are devoted to engaging primarily K-12 girls in STEM. The NM Out-of-School Time Network also includes an assortment of programs specifically for girls. The Computer Science Teachers Association (CSTA) supports and promotes CS education. CSTA provides opportunities for K–12 teachers and their students to better understand computer science and to more successfully prepare themselves to teach and learn. 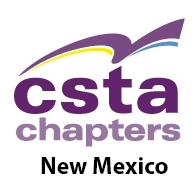 The NM chapter offers a ways to get involved with CS teachers helping to shape CS education in New Mexico. The UNM STEM-H Center advances K-12 STEM+Health teaching and learning through outreach, research and education activities. Managed by the UNM STEM-H Center for Outreach, Research and Education with support from NM EPSCoR, the NM STEM Connection provides information about STEM resources for K-12 students, teachers, parents, counselors, and administrators as well as higher education faculty/staff and community members in New Mexico. Military and National Labs in New Mexico participate in a variety of outreach efforts. Some of them may provide examples to follow while others will include opportunities for partnerships. Check out the links to their outreach pages below. Industry collaborations are positive outcomes of some broader impacts. Below are links to some industries in New Mexico already working to improve STEM education and may be productive partners in your proposal.